WWE Can Now Tag-Team With NSA Versus Leakers : The Two-Way A report from the sports blog Deadspin details the eerie accuracy with which a Reddit user has predicted the outcome of 38 WWE wrestling matches — what he says is an effort to stop the leaking of WWE event outcomes. 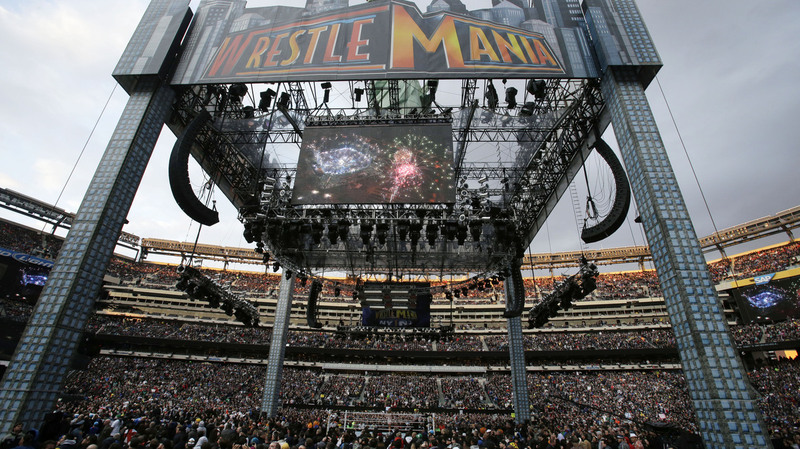 Match outcomes at WWE's Wrestlemania 29 event are just a few of the ones a Reddit user predicted with 100 percent accuracy. While perhaps not on par with Edward Snowden or Bradley Manning, Reddit user Dolphins1925's leaks could shake up the world of professional wrestling. A report from the sports blog Deadspin details the eerie accuracy with which Dolphins1925 has predicted the outcome of 38 WWE wrestling matches on the social news site Reddit. The predictions were made on r/SquaredCircle, a subpage on Reddit for the pro wrestling community. The community held a "prediction series" event, and Dolphins1925 won every time. "No, what's weird about Dolphins1925's perfect slate is that he made his picks for the next pay-per-view, and the next, all the way down to last night's Money in the Bank event, and he's been completely right, every single time. He's 38 for 38 in predicting the results of matches. He's not just some fan guessing. He knows WWE's plans." Those spoiled plans could end up affecting both the multibillion-dollar pro wrestling industry and the betting it supports, which has been on the rise in recent years. Maximum bets are kept low specifically for this situation, Petchesky writes, especially for a sport where outcomes can't be predicted by statistics. "Given that this information is out there, we both feel that I should continue to share this information until it garners the attention of WWE. Vince and upper management are not taking reasonable measures to prevent this information from being leaked. These people whom are leaking this information are profiting off it at the expense of the WWE, the fans, and the integrity of the product. It is for these reasons that I am hoping to put an end to WWE insiders leaking PPV outcomes." Despite these intentions, Deadspin says it was told that WWE officials didn't even know he existed before it posted the story. Late Monday, WWE gave Deadspin this statement: "We may have a modern day Nostradamus on our hands. We might have to monitor these posts in advance of our next pay-per-view to see how good he or she really is." What happens now no one really knows for sure, not even Dolphins1925. Or does he?